Summer is finally here and it’s time to hit the road! Whether it’s for work, family vacation or just your everyday commute… we have the best original and creative accessories for your travels. Are you traveling by plane? Train? Car? Or foot? Check out what we have found, great items to make your journey more safe, comfortable, colorful and carefree! Our picks make great gifts, and are also very practical for personal use. Now all you BA50s, off you go! Enjoy the journey! 1. Personal Air Purifier By AirTamer. 2. Infinity Scarf With Hidden Zipper Pocket. These infinity scarves are fashionable, and a very discrete way to carry your passport, cash, credit cards or cell phone while on the go. The pockets are unlined and sewn directly into the scarf. Scarves are cotton knit and machine washable. They come in many colors and fabrics, including a narrower scarf for men, and a waist-tie pocket sash. Perfect for any traveler who wants to look great while safely carrying all of their important papers and small electronics. $28.00. Click here to purchase. 3. Beautifully Styled Pill Boxes. These unique, hand-crafted pill boxes from Claytheism come in three different sizes, and a wide variety of patterns, to conveniently and stylishly stash meds, vitamins and mints while traveling. They glide open easily and close tightly with a click to keep your contents secure, whether tossed into a designer purse or a canvas backpack. Most are priced under $20.00, and a classic gray velvet gift pouch is included FREE with each item. Purchase at Claytheism . 4. Cushioned Pad For Tired Arms. For comfort at your workspace try The Minky Binky Travel Pillow, by RePoser, Inc. Keep it in your briefcase or purse for working on the go. It folds up and tucks into itself and weighs only 3 ounces. Need to knock out a few hours of work in a coffeeshop? Read the Sunday newspaper? Long game of cards? No need to make your elbows sore. With two layers of padding and an exterior of ultra-comfortable Minky, it makes anywhere a comfortable place to work. Available in red, blue, green, brown, black, and pink. $17.00 +$5 shipping. www.thereposer.com. 5. Matching Leather Luggage Tags And Passport Case. For the sophisticated traveler, these brightly colored luggage tags and passport cover are made of the finest quality genuine leather. They come in many colors and are elegantly styled. Imprinting or embossing only $5.00 for initials or $10.00 for full names. One set $16.00. Click here to purchase. 6. The Perfect Tote By Riegel. 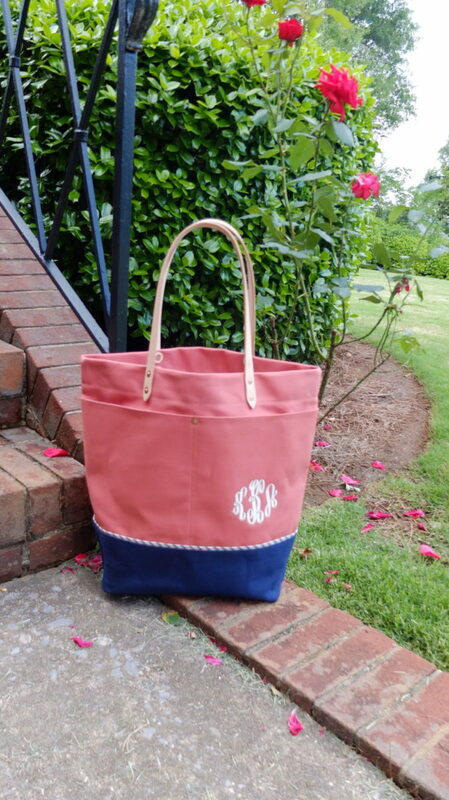 The perfect tote – for daily errands or week-end excursions. Just what you need to carry all of your necessities. Made from waxed canvas for added protection and vegetable tanned leather handles to carry everything. The perfect tote bag for all of your travel needs, including your computer, phone, and other electronic devices. Each bag is handcrafted and made to order (custom colors and sizes available) in the USA. $109.00. Click here to purchase. 7. Elegant And Practical Jewelry Roll Up. No need to have tangled jewelry when traveling. Our beautifully styled jewelry storage cases are perfect for carrying jewelry easily and safely. This padded jewelry roll will protect jewelry form getting damaged and its clear vinyl pockets make things easy to find. Quality is in the details; color coordinated lining and zippers, extra padding, 8-14 zippered dividers, piped seams and trifold design. It comes in many colors and fabrics, from glitz to natural. Prices range from $45.00-$55.00 and are available at Paintedcanyonstudio.etsy.com. 8. Ultimate Spinner Luggage Set. American Tourister Three-Piece Spinner Set includes three fabulous pieces of luggage that will meet all of your travel needs. The set includes a 29″ and 25″ piece, and a 21″ carry on, all with 4 wheel spinners for easy maneuverability. Front panel on all pieces for easy access to last minute items. Comes in 5 colors. Set $159.95 & free shipping. Click here to purchase. Next ArticleBA50 Movie Review: CHEF Is Delicious!